Over the past few days there has been some reporting on social media and an online petition about a threat to the battlefield at Barnet (1471). This relates to ongoing landscaping at the golf course that occupies part of the registered battlefield. 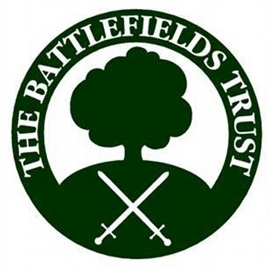 The Battlefields Trust first commented on these proposals in 2013. It made the point that the landscaping would have some impact on the character of the site and raised concerns about archaeological contamination of the ground by objects in the soil trucked in. The proposal was the subject of a planning application which was eventually agreed by the local Council in 2017 with archaeological conditions attached. It has been suggested that the Battle of Barnet Project, which involves the Battlefields Trust, the Barnet Society and Barnet Museum, allowed the development to proceed. Neither the Project nor any of its constituent members have any powers to permit or refuse planning applications, so this aspect of the online reporting is incorrect. Historic England required archaeological investigations prior to landscaping taking place and this metal detecting failed to find any object earlier than the 16th/17th Century. The Battlefields Trust does not find this surprising as it has long held the view that the registered area for the battlefield at Barnet needs revision and that the fighting took place further to the north, away from the current area of landscaping. The Battle of Barnet Project was established, in part, to investigate this hypothesis and a report on the archaeological work is due shortly. There is no longer scope to challenge the planning permission which allowed the golf club to landscape its course and the evidence available points to the area not being involved in the battle. For these reasons the Trust is not taking any further action in respect of the 'new' threat reported online.